The new AU10TIX algorithm reduces ruling errors and processing abortions due to borderline image qualities that takes a sizable share portion of online and mobile traffic. The innovative algorithm reduces "noise" handling by back office operations and increases the successfully processed share of traffic at an average of +20%. The new AU10TIX algorithm reduces ruling errors and processing abortions due to borderline image qualities that takes a sizable share portion of online and mobile traffic. Online and mobile KYC financial and regulated services are well aware of the significant share of traffic which conventional, 1st generation automation solutions fail to handle. Borderline quality images are prone to false-positive or false-negative rulings, or altogether processing abortion. Without effective technology the burden of identifying, examining and retrieving content from such ID images falls of back office operations. Human processing is notoriously slow, expensive and inconsistent and replacing it with effective technology solutions is already taking place at an accelerated pace. With the new feature in place, AU10TIX BOS, the forerunner of 2nd generation ID authentication and onboarding, further cements its superiority over conventional solutions. “Back office operations are still here to stay, but they are destined to be much more effective and cost-efficient than ever before”, says Ron Atzmon, Managing Director of AU10TIX: “This achievement cannot be under estimated. Innovative algorithms are being researched and implemented by the AU10TIX R&D team in order to cope with the infinite variability of customer-submitted ID document photos from what they should look like. 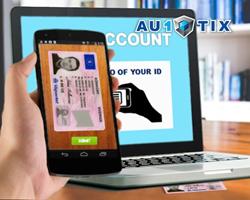 AU10TIX BOS helps ID fraud detection be a much more streamlined and cost-effective process“. “The human eye and the human brain tend to rationalize what they see according to what we would expect to see”, says Ofer Friedman, VP Marketing of AU10TIX: “In online and mobile channels this trait often becomes a liability. Especially when handling large volumes of images under time pressure. This enhancement of AU10TIX BOS has been tested with live traffic and proven to reduce the significant volume of 'I'm not sure' cases“.